The Ebola outbreak caused tremendous damage in Sierra Leone, interrupting one of the greatest economic and social successes of West Africa. Two years later, Sierra Leone’s economy is back on track and ready to leverage its vast mineral resources, extensive fertile lands and endless tourism potential. With the country’s Human Development Index improved by 20% in just a decade, recent economic policies implemented by the Administration of President Ernest Bai Koroma are playing a pivotal role in the country’s renaissance, fostering the role of the private sector, diversifying the economy and creating the right framework to attract foreign investment. 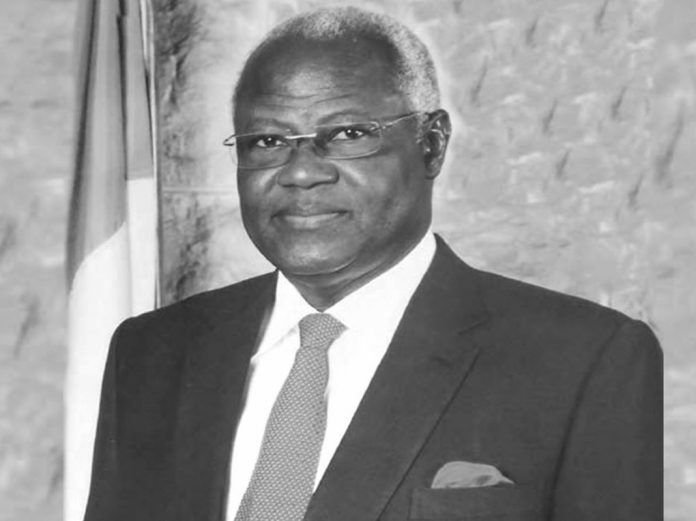 In an exclusive interview with Leading Edge, President Koroma talks about the resilience of the Sierra Leone people, the country’s economic revival and how his policies aim for inclusive growth and social development. Leading Edge: Sierra Leone has faced many challenges in recent years that have affected economic growth. What is your view of the country’s economic outlook today? President Ernest Bai Koroma (EBK): Sierra Leone has suffered a lot of difficulties in the last couple of years including the Ebola outbreak which affected our economy tremendously. The Ebola outbreak was one of the worst humanitarian disasters we have faced since the end of the civil war 15 years ago and it reversed some of the gains we had made. When we took over the governance of Sierra Leone in 2007 we began to transform the economy with a clear target of attaining prosperity for our people. By 2012, Sierra Leone was one of the fastest growing economies in the world, and in 2014 we had prospects of recording about 13% GDP growth. Unfortunately, the Ebola outbreak had a strong negative impact on our economy towards the end of 2014. The situation became even more dramatic in 2015 when we recorded negative growth in GDP of -20%. Thanks to the resilience of our people and the support of the international community, we were able to move forward and rebuild our economy. Today Sierra Leone is back in all fields and we are expecting about 6% GDP growth this year. New companies are opening up in various sectors including mining and agriculture. We continue to focus on getting all our sectors back on the right track, and we are confident to reach the objectives we have set. L.E: It has been 15 years since the end of Sierra Leone’s civil war which killed more than 50,000 people and displaced more than a million others. How much stronger is Sierra Leone today compared to 15 years ago? EBK: To emerge from that tragic internal conflict we had support from the UN which mobilised around 17,000 troops to help secure peace in Sierra Leone. We came out of war, began rebuilding our economy and we even conducted peaceful elections. We then brought in many reforms that helped the process of security and reignited development in our country. Today we are proud to say that we send our troops outside to help and support other countries in conflict rather than having foreign countries sending their military units here to Sierra Leone. Through it all, our people have demonstrated immense resilience. We have embraced many difficult moments as a country and we have managed to improve our internal stability. The international support we have received has of course been crucial, but we cannot forget that the Sierra Leonean people have played a strong role in the path to achieving the stability we enjoy today. L.E: Mr President, you have always shown great concern for the social growth of the country. With the economy back on track, what are your strategies to ensure economic growth is sustainable and inclusive? economy. We have for instance focused on increasing energy generation in our country thereby giving many more of our people access to power. We also continue to work with the private sector, offering support that provides them a good environment in which to operate their businesses. We are also working on improving the conditions of our people and giving opportunities to everyone. We consider our human capital as a vital asset for Sierra Leone, and by having knowledgeable and skilled workers we can support both public and private sectors. Harnessing our human capital will also ensure prosperity, satisfaction and happiness for our people. L.E: Could you elaborate further on the strategies you have put in place to support the private sector? What are some of the remaining challenges? EBK: We have done a lot of work particularly in reviewing our legislation. We have established institutions and structures that facilitate the processes of registration of private businesses. On the tax front, we have ensured that certain concessions are given to attract investors. These efforts have been commended by institutions such as the World Bank which now ranks Sierra Leone among some of the most transformed countries in regards to governance. In regard to corruption, we are strongly working with private and public institutions to fight it. We understand that corruption is a phenomenon that is spread around the world and affects all economies. However, we believe that well-structured and transparent procedures will combat corruption, improve our overall governance and promote economic development.